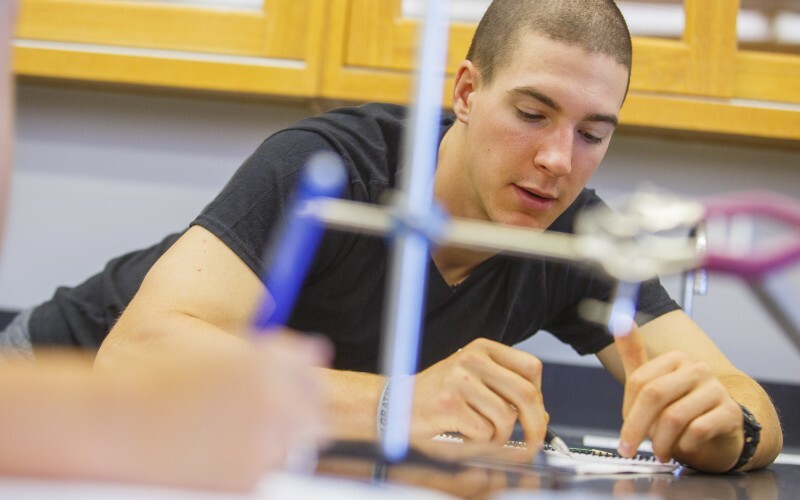 High school students with a passion for mathematics and science will have an exciting new opportunity starting in the fall of 2019 thanks to an innovative new program at Castleton University. The Castleton University STEAM (Science, Technology, Engineering, Arts, Math) Academy is designed to provide students an immersive experience that further develops their critical thinking skills and stimulates their passions while opening their minds to careers in these high-demand areas. Qualified students enroll in the academy during their senior year of high school, and have the option to live on the Castleton University campus. Vermont high school seniors attend tuition-free through the early college program and out of state seniors benefit from a reduced tuition rate. Students who excel in the program will benefit from a seamless transition to a Castleton degree program. The academy also provides courses for high school students who wish to consider the academy as part of their personalized learning plan. These courses are offered at a reduced tuition rate and are eligible for dual enrollment vouchers. For more information, including a complete curriculum map, please visit castleton.edu/steam-academy or contact the Castleton University office of admissions at 802-468-1213 or info@castleton.edu.